Mix the bananas with the lemon juice and honey, cover and chill until ready to serve. In a bowl, mix the flour with all the other ingredients up to and including the salt. Whisk together the buttermilk, butter and egg yolk, mix in. Beat the egg white with the salt until stiff, carefully fold into the mixture using a rubber spatula. Heat a little clarified butter in a wide non-stick frying pan. Reduce the heat, pour as much batter into the pan as it takes to make pancakes of approx. 8 cm in diameter. Once the undersides are cooked and no longer stick to the pan, turn the pancakes over, finish cooking, then keep warm. Prepare the remaining pancakes straight away. 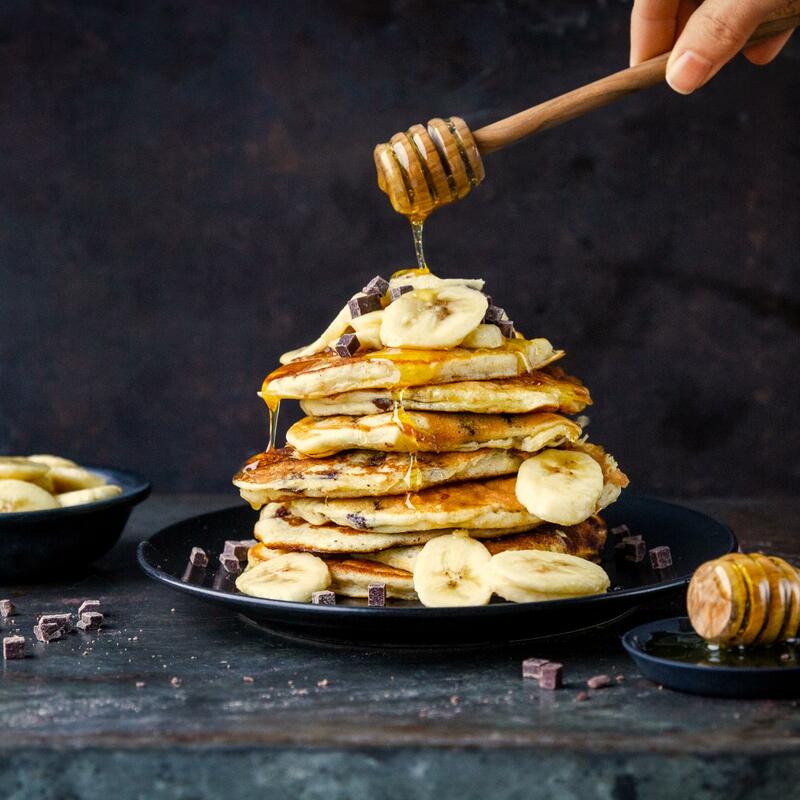 Serve with the honey bananas.